but for system, setup: installs and tweaks, change of SD cards and USB system drives. 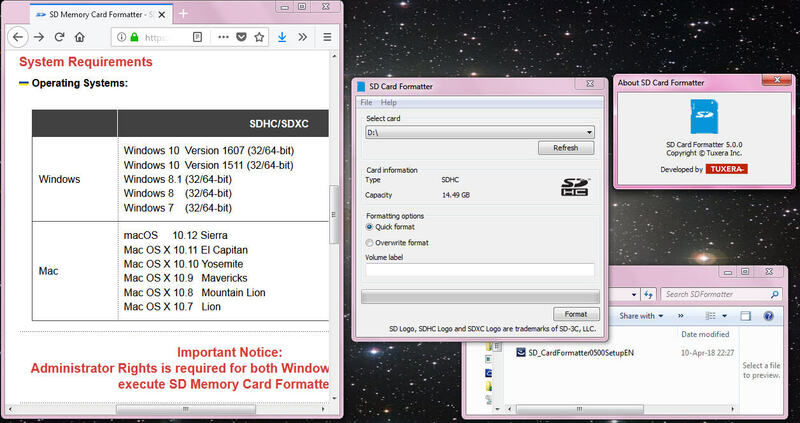 i was used to use win32diskimager to read back SD cards to .img files and zip it. i now have a MASTER SD card / my slowest 8GB SD card / with the RASPBIAN image, updated and customized. and when i need a new system i boot that / update again / use SD card copier tool from desktop menu. name: change with sudo raspi-config RPI0 to RPI3..
but still wanting a .img file i read it back to PC by win32 disk imager. ( a 8GB file ) and zip it down. now not work any more? so i start to play about creating a .img file by RPI instead by win32 disk imager. so need to test with a 2 commandline thing with separate .img and .img.zip again. what i not have clear if the required space is different? what can work on a running system and makes .img files. RonR image-backup assumes you're backing up a normal two-partition Raspbian system (fat + ext4/f2fs). too late, i already trashed my NOOBS/PINN system camera tools setup. i hope that one day there might be a option in SD card copier tool "create .img file"
what even would work for NOOBS/PINN systems.